All our coats are handmade to order and we created a number of different sizes to ensure the perfect fit. 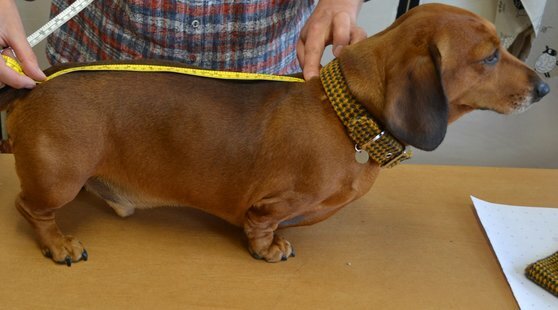 However we do realise that dogs come in all different shapes and sizes so we also can make a bespoke coat for your dog. Find the widest part of your dog's chest and wrap your tape around placing two fingers underneath to ensure it is a comfortable fit. 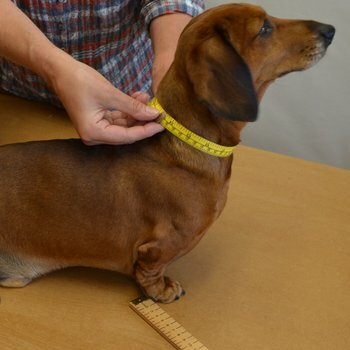 Measure from the base of your dog's neck to the bottom of their back. 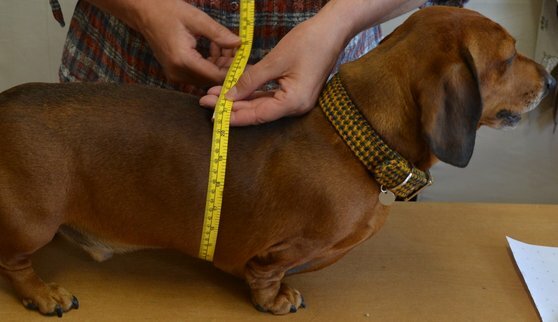 To ensure you get the best fit around your dogs neck and shoulders we need the size of their neck, again if you could place two fingers under the tape it will then be a comfortable fit rather than being too snug. 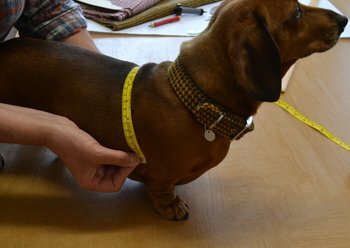 Can't find the right size, well don't worry we can make a bespoke coat for your dog however we do need 3 more measurements. 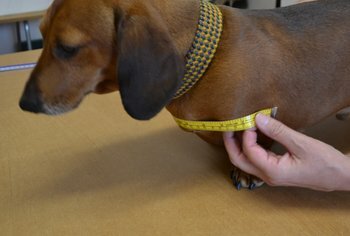 To ensure you get the perfect coat place the tape at the top of your dog's elbow and the measure over your dogs back to the other elbow. To ensure you get the perfect coat place the tape at the top of your dog's stifle joint and the measure over your dogs back to the other stifle joint. 3. Finally we just need the depth of your dog's chest so that we can structure it to fit comfortably. 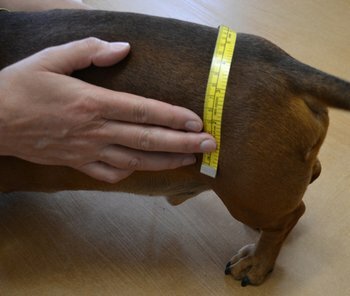 Therefore find the widest point of your dogs chest and measure from the back of the elbow joint right round the front of your dog to the back of the other elbow joint.